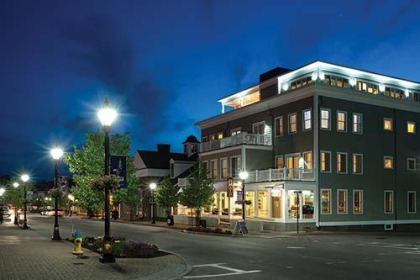 Comfortable and relaxing, 84 Main Resort offers a beautiful setting in the middle of the charming Maine town of Kennebunk. You can enjoy nearby activities like biking, golfing, and fishing or spend time at the beach or restaurants. The friendly staff is available to help answer questions and make sure your timeshare is enjoyable. 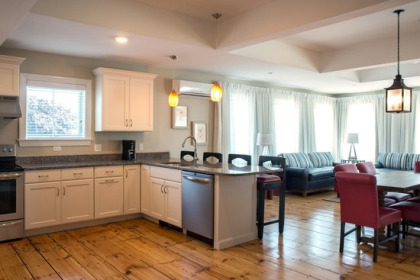 These Kennebunk timeshares for sale offer one, two, and three-bedroom units at 84 Main. The spacious accommodations will sleep from two to eight people and many units offer a full kitchen. You can relax in the living area and enjoy cable television and free Wi-Fi. 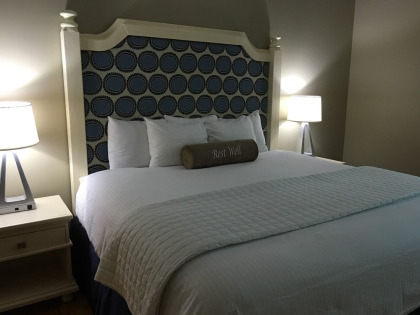 Rooms are updated with new appliances and hardwood floors with private balconies overlooking the Main Street through town. Units also feature air conditioning and washer and dryer for your convenience. On-site amenities at 84 Main include an exercise room where you can work out and get ready for the day. The central location is perfect for bike riding through town or horseback riding in the countryside. Schedule a tee time at one of the nearby golf courses or spend some time on the water or lounging at the beach. You can visit a variety of restaurants and explore the shopping opportunities at local boutiques. Your timeshare is also close to a playground and there is plenty of nightlife to keep you entertained. Visiting Maine is wonderful any time of the year and offers picturesque views and quaint towns. When searching for accommodations, check out these Kennebunk timeshares for sale available at 84 Main Resort. You will love strolling along the coastline and exploring the town and learning about the history of the area. You can tour the “Museum in the Streets” or pick up some local produce at the Farmers Market. You can bike along the scenic shoreline trails or take a guided tour watching the whales. If you love seafood, the Maine lobster needs to be at the top of the list on your restaurant menu. Whether you have visited Maine in the past or you are planning your first vacation in New England – you will not be disappointed by the beautiful town of Kennebunk! Contact 84 Main Resort Specialist Today!